The drought is over. No, I’m not talking about the weather. I’m talking about the Titans boys basketball team. The Titans had never beaten the Custer County Bobcats during coach Brandin Hamilton’s tenure, until this past weekend when an explosive first quarter led to an easy 56-34 win for the Titans. On paper, the game appeared winnable and Hamilton expected his team to end their recent two-game slide and rattle off a victory, but he still wasn’t sure. As a result, Hamilton made a point of keeping the team focused on the task at-hand, starting with the practices leading up. Hamilton had his team constantly working on a new half-court press that would drop into any one of three different defensive looks. “We want to try to rattle our opponent and get easy baskets out of it,” explains Hamilton. He maintained that intensity during the pregame as well, making sure the Titans were ready from the opening tip-off. Ultimately, the plan worked out perfectly. The Titans’ pressure forced a quick turnover for an easy lay-up and then David Wasinger and Noah Dumas each hit big three-pointers to open up an early lead and finish off the first quarter up 16-3. 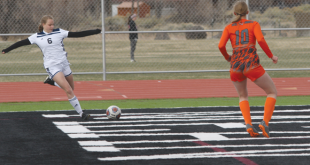 While Custer County looked to shut down league leading scorer Quinn Winter, the Titans found other gaps in the Bobcats’ defense to supplement Winter and continued to cruise through the game. 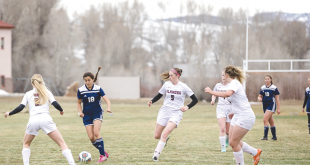 Once Crested Butte built a 20-point lead, Hamilton used the opportunity to work in other players and get them key minutes in a varsity game. Anytime Custer County cut into the Titans advantage, Hamilton would ramp it up again to rebuild the lead back to 20 points, making sure the game was safely out of reach throughout the second half, finishing the Bobcats off 56-34. “I spent the rest of the game maintaining that safe buffer,” says Hamilton. Winter led the team with 16 points, six blocks and 11 rebounds, Wasinger had his highest point output of the season with 15 points, while Dumas dropped in 11 and Jakob Munroe had his best game of the season scoring six, grabbing five boards and finishing the game with three steals. The Titans return home to host the Lake City/Creede Pioneers on Thursday, February 12 at 5:30 p.m. and then stay at home in Mt. Olympus to face the South Park Burros on Saturday, February 14 at 2:30 p.m.
Hamilton looks to keep the team rolling but knows they still need to put four quarters of solid basketball together in each game.